Descendants of the Huguenots have gathered to remember their history of harsh oppression and to pray for hope in the Christ. 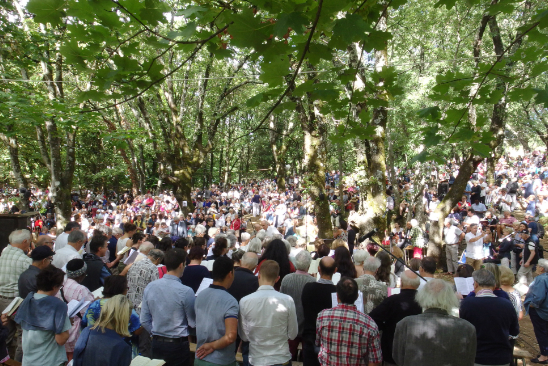 On September 2 (local time), the United Protestant Church of France held the “Assembly of the Desert” on a hill in Anduze (top photo), remembering as one community the persecution endured by their ancestors in the faith. Some 10,000 believers joined the service from all over the world, including the UK, Germany, and Belgium. The service took place in front of the Museum of the Desert, where the Huguenots have gathered for the past 450 years for worship services. The Museum is the birthplace and house of Roland, a Huguenot resistant. The Huguenots were French Protestants who, in the 16th and 17th centuries, were severely persecuted by the Roman Catholic Church under the absolute monarchy. Influenced by French Reformation theologian John Calvin, the Huguenots were killed or deprived of their jobs when they firmly kept their faith and refused to return to the Catholic Church. Men were dragged away to slave ships, and women were imprisoned. Twenty thousand Huguenots were massacred throughout France on the single day of August 24, 1572, St. Bartholomew’s Day. 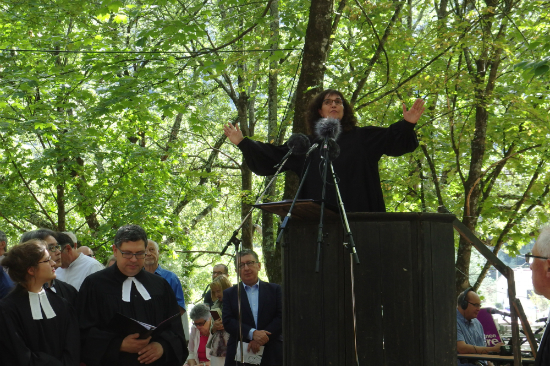 The Desert Assembly is held on the first Sunday of September every year. 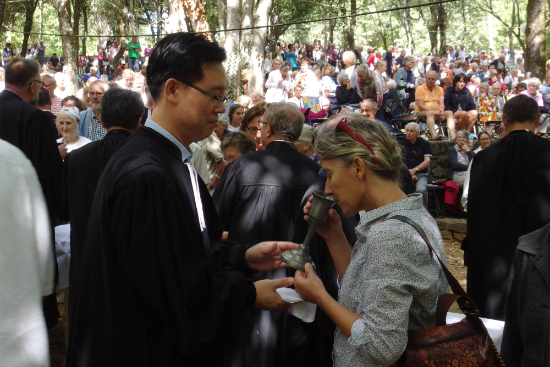 This year gained increased meaning through the participation of Korean church clergy (pastors of the Presbyterian Church of Korea - Tonghap), who joined the French church clergy in serving as Eucharistic ministers at the Holy Communion service. Also commemorated this year was the 250th anniversary of Marie Durand’s release from 37 years and eight months of captivity in the Tower of Constance. 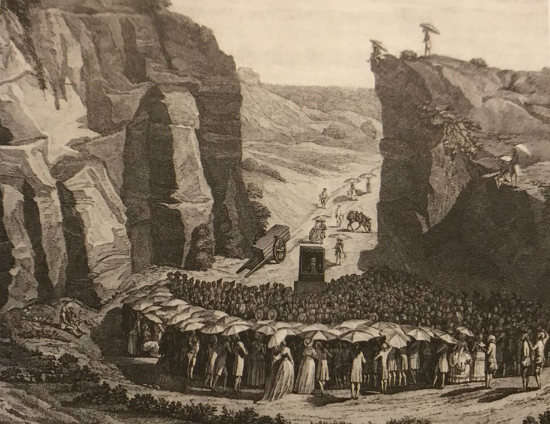 The name “Assembly of the Desert” refers to the secret place where the Huguenots, constantly robbed of their religious freedom and their churches, gathered to worship. It also signifies their resistance against persecution as they fought to sustain their faith. As a matter of fact, the Huguenots often worshipped on the run, in the woods or in rocky mountains. The first Assembly of the Desert was held in 1571, and the first Huguenot general assembly was formed in 1715 in the desert. The Evangelical Lutheran Church of France and the Reformed Church of France merged into the United Protestant Church of France in 2013. Comprising 2~3% of the French population, the UPCF follows the faith tradition of the Huguenots and is distinct from evangelical churches such as the Pentecostal, Baptist, and Methodist churches.